Why would I need self storage in Waterford, MI? There are a variety of reasons why you might need self-storage in Waterford, MI. How much is a storage unit in Waterford, MI? The cheapest storage unit in Waterford, MI is $29.00 per month. What size storage units do you have available in Waterford, MI? In Waterford, MI we have sizes that range from 5'x5' to 10'x20' to suit your storage needs. How much is it for a 5'x5' storage unit in Waterford, MI? The cheapest 5'x5' storage unit in Waterford, MI is $29.00 per month. 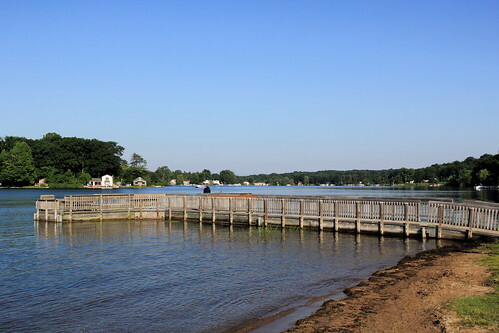 Waterford is a charter township in Michigan's Oakland County, known as a "Lakeland Paradise" with more than 30 lakes. Thanks to its convenient location halfway between Detroit and Flint, Waterford draws in newcomers who are looking for an affordable cost of living and a vibrant arts and cultural scene. The township also offers numerous parks and outdoor recreational areas, which contribute to a high quality of life. Waterford's roots go back to 1834 when it became a township, three years before Michigan became a state. Prior to that, in 1818, land parcels were sold through a land office in Detroit, drawing in residents looking for a new place to settle. Alpheus Williams and Archibald Phillips bought about 160 acres of land, constructing their homes, a sawmill and a dam. They named the community Waterford in acknowledgement of its many lakes. The township's historical district currently stretches north and south of Andersonville Road, and earned its spot on the National Register of Historic Places in 1977. Today, you can take a walking tour of the district from the Historical Society's Log Cabin Store on Hatchery Road. Thanks to easy commute times and a scenic setting, Waterford is a popular place to put down roots. There are several museums throughout Waterford, including the Hatchery House, Blain Playhouse and Jacober's General Store, giving the township a quaint and welcoming feel. The area also boasts a low cost of living, high graduation rates and plenty of local amenities. Local groups and regular events offer something for everyone, including a knitting club, children's story hours and volunteer organizations. One of the biggest benefits of living in Waterford is that you can commute to Detroit, Ann Arbor or Flint in less than an hour, which opens up both job and entertainment options. Waterford School District operates the elementary, middle and high schools in the township, as well as an early childhood center. The district is internationally accredited and has been noted for its accelerated learning opportunities, award-winning performance and visual arts and Advanced Placement courses. Utilities: DTE Energy serves as the primary electricity supplier in the area. The township's public works department oversees water and sewer services. Garbage and Recycling: All waste disposal services in Waterford are provided by private companies, giving you the freedom to choose your own provider. Popular providers in the township include Waste Management, Advanced Disposal and GFL Environmental. Transportation: The SMART transit system serves the greater Detroit area and is a popular option for commuters. Waterford consists of 19 constituent neighborhoods, each with a distinct personality and style. The township offers an affordable housing market with a variety of options, and its median home price is lower than the Detroit metro area average. Our lowest priced units in Waterford, MI average $29.00 per month. 79 people have reserved units in Waterford, MI in the past 30 days. There is 1 location within Waterford, MI's city limits. There is 1 location in Waterford, MI that offers AC and Heating features.